Well I guess I fall into the average to low KD players as you put it. I have a 3.05 in TDM and I play only TDM. My overall KDR is 3.03, because I have a total of 5 hours played in KC but 189 hours in TDM. I like to think I'm a good player. Edit: In case anybody decides to believe that I'm fibbing, you can look me up in ELITE if you're a PS3 player. Name is the same as on the forums. 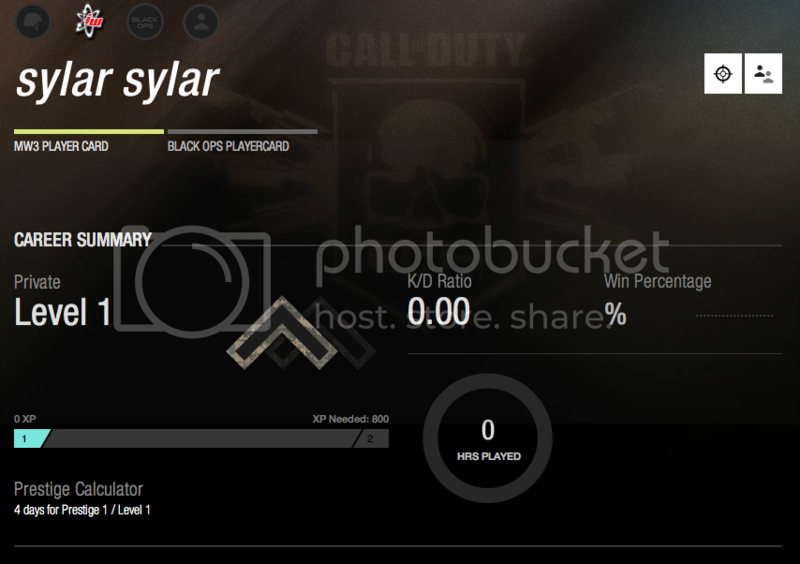 Is your name SylarSylar, or Sylar_Sylar? When I typed your name with the _ between the words, it says you've been reset. I am just SylarSylar, no underscore. I play on PS3. A stat i like to use for TDM is your plus/minus per game. Meaning - I take (total kills minus total deaths ) divided by games. For example if someone has 50 000 kills 30 000 deaths over 2000 games (50 000-30000) /2000 =10 positive kills per game average. This really only works for TDM as it has no objectives other then get as many kills positive as u can. So for example to me someone who averages 15/10 a game is better then someone who goes 8/4. Even tho the 8/4 is alot better KD. because he averages 1 kill more positive a game. Interesting stat, my numbers are 90,541 kills, 36,297 deaths 4,466 games played so 13 positive kills per game average. TBH neither K/D and W/L show that your a good player since there is to much outside influence over them besides skill just for an example i can play Dom and go say 10/25 simply because two players on my team have gone 5-30 and the other team has spent the better part of the match spamming pred missiles because of it OR i can go 45/6 because my team has capped and defended two flags (therefore spawn trapping them) and i have spent all match ripping apart anyone unlucky enough to enter my LMG sightline. Sorry to tell you, this game is not about SKILL or STRATEGY. It's about connection and which side of the lag compensation you fall on. I dont care if you have a great connection if you cant aim it wont matter. And as far as your statement about this game not being about strategy your wrong, an organized group in TDM using a good strategy has a HUGE edge over a bunch of random players. My group I play with runs off legit win streaks of 40+ all the time and we NEVER dashboard. If we are going to lose we take our beating and learn from it. I lose more often then I dont when I play TDM solo because 90% the pubs I am put with play stupid. Sorry I find that people who say the game is all about connection are the ones who just arent that good and need an excuse. I am not saying connection doesnt help but there isnt many multiplayer games out there where having a great connection doesnt help. I had a 2.44 KD with over 70k kills in TDM in Blops running on a 2meg cable ISP. I have a 2.49 KD with 90k+ kills in TDM in MW3 and right around XMas time my cable provider opened a 100 meg package which I have been on ever since and my stats are almost identical.